Children of all ages will adore the vivid green surroundings, vast stretches of beaches and family-friendly highlights of the Northern Rivers. A day spent at the beach complete with a picnic could be one of the simplest yet most memorable days of your getaway as a family, particularly if you manage to spot some migrating whales on the horizon. 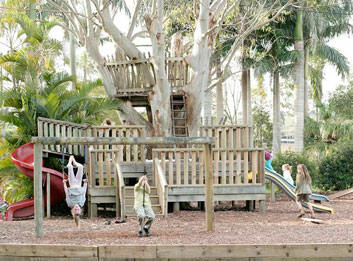 There’s no end to the options for active and energetic kids: hanging ten with a surfing lesson in Byron Bay, walking up to the lighthouse at Cape Byron or finding some unique books and toys at one of the local markets. Humpback whales use the northern NSW coastline as a passageway for their northern and southern migrations each year, providing an amazing opportunity to spot these gentle giants in person. From April you can see the whales cruise north to breed in warmer waters, and from August you’ll see them heading south once more – quite often with baby in tow. 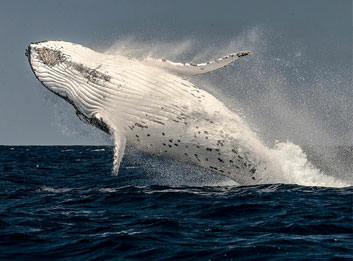 Book on one of the excellent local tour boats to get up close, and be sure to keep your eyes open at the many lookouts in the area between June and November (there’s nothing quite like spotting whales from the Cape Byron Lighthouse). If someone in your family has always wished of escaping to the circus, then now’s their chance! 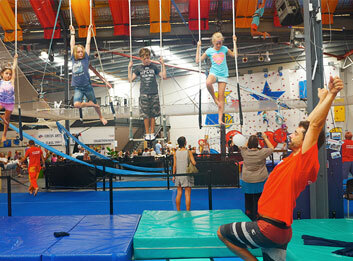 Circus Arts in Byron Bay puts on a dazzling range of activities over the school holidays as well as private lessons and parties throughout the year. Kids can embrace their inner acrobat or clown around with full and half day circus programs, balloon twisting sessions, indoor climbing and the opportunity to take to the air on the flying trapeze. There’s easy off-street parking, wheelchair access and the Big Top Café at Circus Arts HQ if you prefer to stay on the ground yourself. After burning off all that excess energy at the circus, you may well be looking for somewhere a little more zen. The Crystal Castle is the perfect next destination with its extraordinary array of crystals and peaceful gardens. Kids will love making their way through the glittering Enchanted Cave: the world’s largest amethyst cave brought all the way from Uruguay. 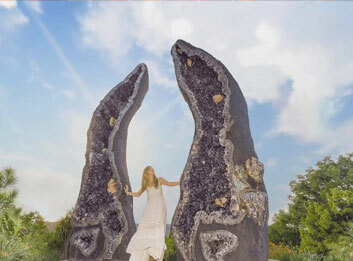 They’ll also have the chance to stand between the Crystal Guardians, the world’s tallest pair of geodes. Expect the whole family to be blissed out by the time you walk through the Labyrinth and soak up the green surroundings here. A 10-minute drive from Hinterland House will land you at Macadamia Castle, where pancakes and furry friends are to be found in abundance. Kids could get up close with an owl, a croc, a snake or a possum, visit the nocturnal theatre and learn all about farmyard animals. You might enjoy lunch or a sweet treat at the café, or bring your own picnic and use the free gas barbecues in the undercover area. With mini golf, a treehouse playground and $2 train rides that move through the park, there’s easily enough to fill up a whole day out.